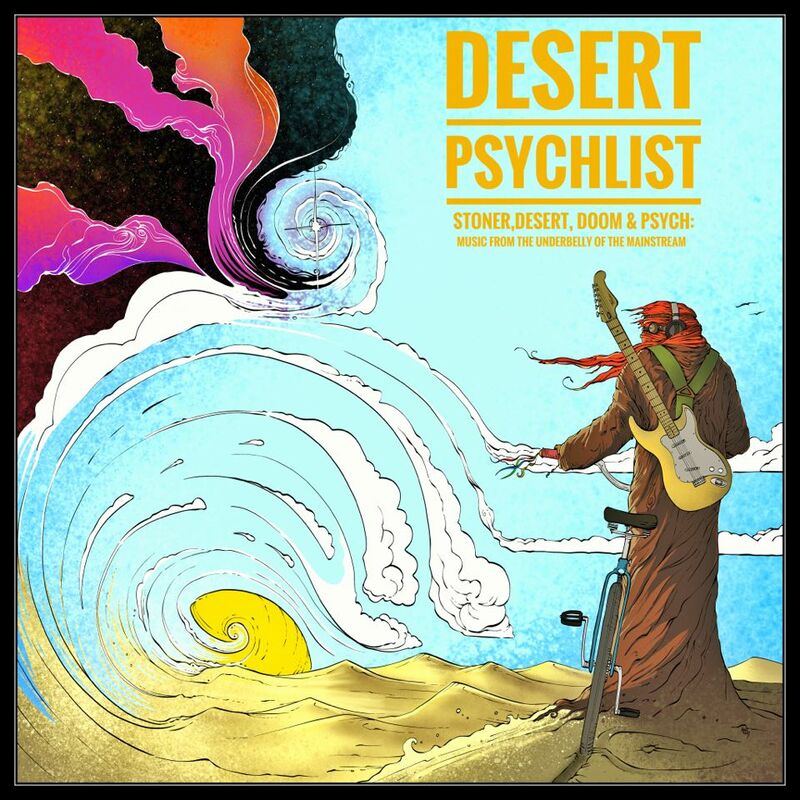 Here, in Desert Psychlist's UK home, Denmark is mostly known for three things Vikings, bacon and beer and not so much for its underground rock scene but that all could change with the emergence of Tikøb based quartet Center of the Earth. 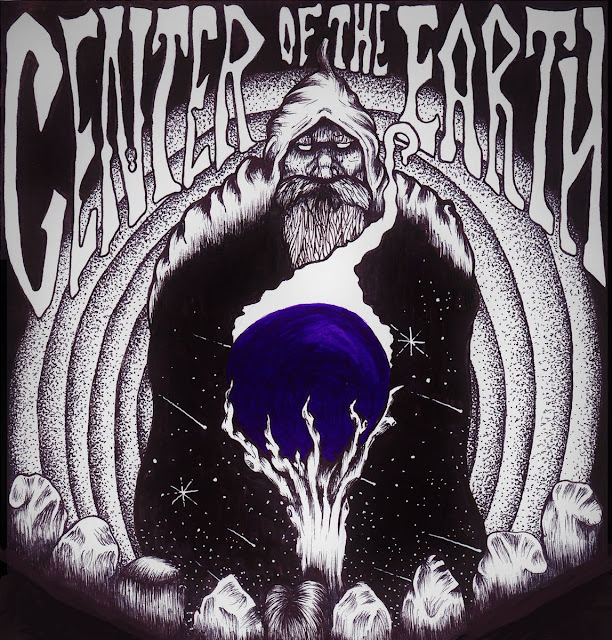 Center of the Earth were formed in 2013 and deal in monolithic riffage and tumultuous rhythms overlayed with huge roaring vocals, all of which can be heard gracing their debut album "Tolkion". So let's grab a beer and a bacon sandwich and see what these Vikings have in store for us. Thunderous is an oft overused word in music reviews but you would be hard pushed to come up with an alternative for the huge walls of noise Center of the Earth assail their listeners ears with. Crushing is another word that gets rolled out a little too often but again it is a word hard to avoid when describing the sonic impact of "Tolkion". Imagine if you can an amalgamation of Sweden's Vokonis and Poland's Dopelord and you might just come close to getting a handle on what Center of the Earth are sonically all about, we are talking riffs so thick you could walk on them, rhythms that could topple tall buildings and vocals that rumble like an Harley-Davidson engine with its baffles removed. Sampled narrative introduces first track "Black Blood of the Earth" then suddenly the song explodes into a low, slow and devastatingly heavy sludge/stoner doom groove decorated with swirling phase drenched guitar solos that set the stage for big grizzled, bear-like bellows to tell their tale of "a land of dead and salted soil". Around the midway mark the songs mood changes and the listener is treated to a strangely hypnotic sparseness with jazzy percussion and grumbling bass the platform around which bluesy guitar colouring is gently weaved before the hammer goes down again and we are hurled back into the songs initial sludgy low and slow groove. After the onslaught of the first track it would be difficult to imagine that Center of the Earth could get any slower. 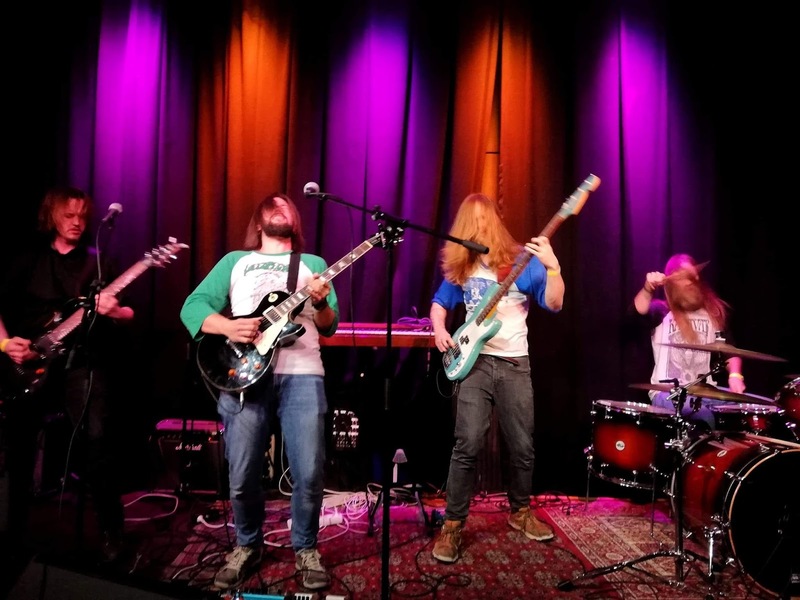 lower or heavier but with "Sons of Gaia" they manage just that, the songs groove akin to the sound of an avalanche of boulders rolling down a mountainside. 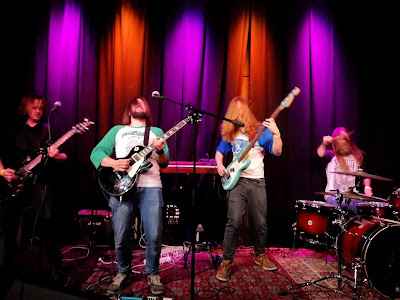 Title track "Tolkion" follows, a sprawling instrumental that begins with Hawkwindesque spacial effects then morphs into a strangely funky heavy psych workout that then goes off on a myriad of differing tangents. "Doomlords" slowburns into life on booming bass, minimal percussion a low pitched guitar, the song gradually getting heavier and louder as its groove progresses that then, without warning, bursts into a chugging Sabbathesque stoner groove, albeit with totally un-Iommi like guitar solos's. Now for some bands that would be enough and a pretty good way to sign off on a song but Center of the Earth are not just "some band" and instead take the song off into a sludge heavy dirge with reverberating chords, droning bass and pulverising percussion laying the bedrock for a powerfully strong vocal calling for the "lords of doom" to "arise", the band once again slowly ramping up the dynamics before bailing out in a deliciously noisy, almost thrash like, crescendo. Center of the Earth wrap things up with "Cryodome" a doom laden opus brimming over with atmosphere and menace with vocals telling of wizards and devils over a backdrop of dank, dark and surprisingly up-tempo sludgy doomic attack, the band only dropping back into lower, slower territory for its heavy, grinding finale.